A service center should be measured by the amount of services that they offer, and at Heather Cannon Honda we offer such a wide range of services in Ponca City, OK, that it is almost hard to keep track. We do it all including but not limited to oil changes, battery swaps, transmission rebuilds, tires, and rims. We will always use the right parts and the right products to ensure that your Honda can get you to where you need to go. Simply look at the list below to get an idea of how much Heather Cannon Honda has to offer Honda owners. It does not matter o us where you bought that Honda of yours either. We just want you to have the best Honda driving and servicing experience possible. We have the services that you need for your Honda. We do not just stop at oil changes. We will do it all. This is a full service shop, and we stand behind what those words mean. We will take care of anything and everything, even including transmission rebuilds and major engine work. 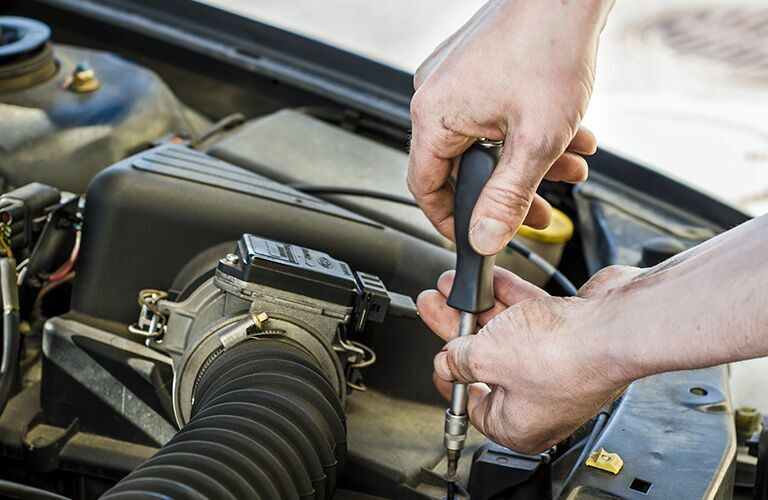 Our staff has the experience that you want operating on your vehicle. No matter what might be wrong with your Honda, they have tackled it before. They know how to do your service, and they know how to do it right. Heather Cannon Honda knows that you have a busy life, and that is why we work so hard to make your service convenient. You can schedule your service right online and make sure that we are going to work around your schedule. We will have our team or Honda service professionals ready and waiting to operate on your vehicle before you even get here. We will get to work right away. We want you to get back out on the road as soon as possible, and we want to ensure that your Honda is as safe and reliable as it was the day it was new. Part of being a responsible Honda owner, is providing your Honda with the right parts. At Heather Cannon Honda, we want to make sure that you can do that. We will provide you with the genuine OEM parts that you need for your Honda. These are the same parts that were designed to work with your Honda in the first place, and they will ensure that your Honda can run and operate just like when it was new. Anything less than a genuine OEM part may fail prematurely or even damage the integrity of your vehicle. You do not want that for your Honda, and neither do we. Come to Heather Cannon Honda and we will get you the right parts. Not only do you need the right parts, but you need them quickly. That is why we have built up a massive inventory of genuine OEM parts for our customers to take advantage of. When you come here in need of a part, then we will almost always have it. If you managed to require something that we do not have, then we can order it for you and get it in here really fast. You can even leave your parts installation to us and we will be sure to get your part installed correctly. If you have any questions for our parts or service departments, then do not hesitate to give us a call or stop by. We will help you out in whatever way we can.